A Waldorf Steiner design doll rattle for babies. Steiner believed that a doll should have minimal or no facial features. This is to encourage children to imagine their doll with a range of emotions and feelings and it is believed that children will find this difficult if the doll has a fixed expression. 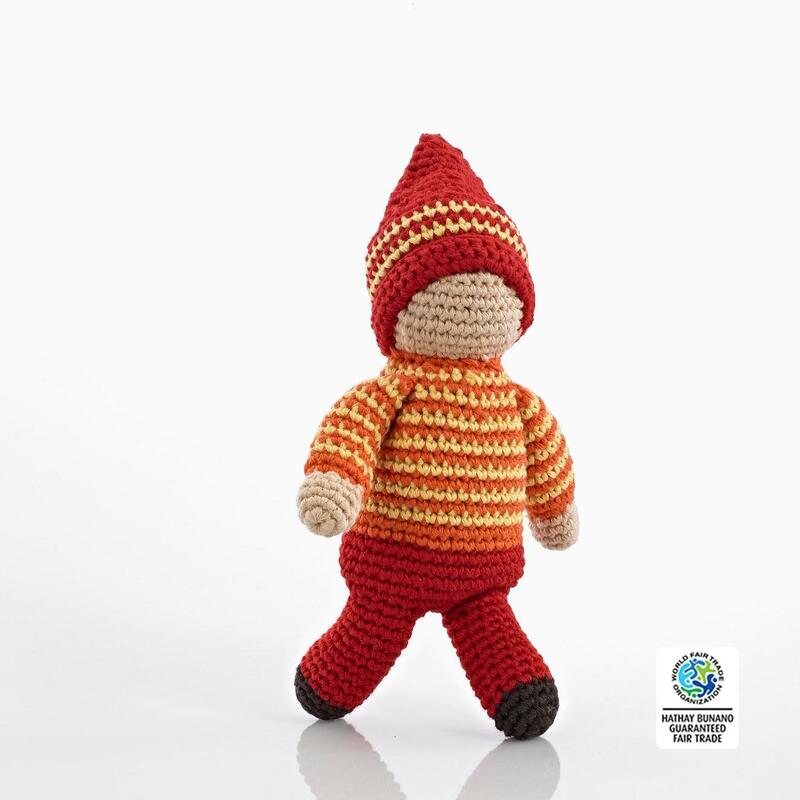 This gorgeous orange and red faceless pixie rattle is suitable from birth and machine washable. Fair trade and handmade.